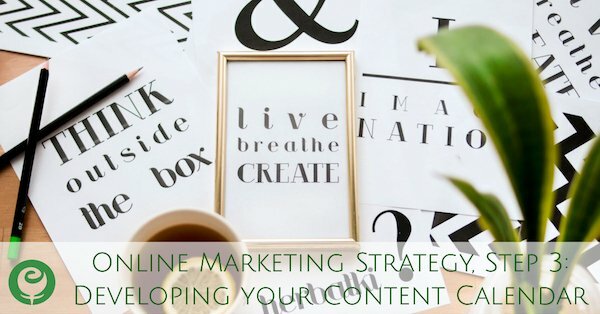 Developing a content calendar is by far one of the most significant steps in developing (and then executing) a strong, effective online marketing strategy. 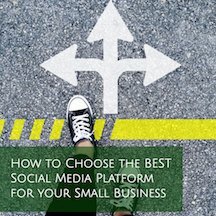 First, you’ll need to determine what content you commit to create, and second, you’ll decide what social media platforms and online marketing tactics you’ll employ for your small business’ strategy. Once you’ve worked through those 2 steps, you are ready to begin planning your content calendar. What Should Be Included in your Content Calendar? Your content calendar should incorporate all social media platforms and online marketing tools you have decided to use to market your small business, as well as any planned upcoming events, promotions, and other business announcements. Your content calendar should incorporate both promotional and non-promotional content, too. A note on promotional content: The words “promotional” or “promotions” are also used when discussing content you are paying to advertise. However, when you are planning your content strategy, you’ll be planning content that includes links to your site, photos or videos of your products and services, customer testimonials, and other information or graphics that promote your business and what you sell in some way. So, anything that’s brought into your content calendar that is pushing your business and offerings is “promotional”, whether or not there’s a paid ad behind it. As an example, let’s say you have a brand presence on 3 social media profiles, you blog, you send a bi-weekly email newsletter, and you use Facebook ads, plus you know that you have 2 sale periods coming up in the next couple months… the content calendar you are planning will incorporate both promotional and non-promotional content for your social media profiles, blog posts, newsletter content, Facebook ads, and sales. Because you shouldn’t be “all promotional all of the time” in your online marketing, your content will be a mix of promotional and curated content, and it should be relevant and complementary to your business and ideal client types. For example, if you want people to care to read your recent blog post, make sure it is in some way helpful or educational for your ideal client so they can easily identify the value in your blog post, want to read it, and feel like you either showcased your expertise or helped them solve a problem in some way. A pediatric dentist posting an article from the American Dental Association about 3 ways to encourage kids to brush their teeth longer. A pool installer posting an article from DIY Network about backyard pergola styles. A destination spa posting a video made by a different company that highlights the benefits of spending time away with your good friends. Assuming you’ve done your homework to fully analyze and profile your ideal client(s) in terms of both demographic qualities as well as psychographic (lifestyle, interests) ones, you can take what you know about your ideal client types plus what content you are going to create yourself, plus your list of chosen platforms and tactics, and use all of this information and these decisions to come up with a set of “buckets” of content to work with for your content calendar planning. It’s important to note that the buckets of content are really the main topics of content for your planning. Across the board, it’s ideal if the way the content is distributed (links, videos, photos, graphics) was varied since your targeted clients consume content via different mediums. Also, the bridal industry is a fairly broad industry, so while there are 8 buckets of content in the above example, your industry might not feasibly have the same amount of variety. How Do I Prioritize Filling in my Content Calendar? Are you going to regularly participate in a community hashtag event that makes sense for your brand, or start your own? (e.g. #MeatlessMonday, #TBT (Throwback Thursday), #TipsTuesday, etc.) If you are, then the choice of content for that day of the week has been determined. Do you have a new blog post or podcast or video that publishes a certain day of the week? If so, then you know every ___day, you’ll be posting about your newly-published blog post/video/podcast episode. Does your business see a spike in traffic – online or offline – on a certain day or days of the week? If so, you’ll likely want to post promotional items on those days. (e.g. If you have a nursery, it’s likely that a post about the new flowers and trees that just arrived would be great on a Saturday morning since most people do yard work on the weekends). Do you have upcoming sales, discounts, or promotions? If so, plug those into your calendar first and work around them with your regular content. Don’t post content from the same bucket 2 days in a row. So, if you posted about a new customer review that you received on Wednesday, don’t put up another customer review on Thursday. Having buckets of content guides your content creation and curation while keeping your content fresh because it gives you a plan and structure while allowing you to make sure you are posting content that’s new and relevant. If you found a really awesome and popular video on Facebook, on Wednesday, and it fits into Bucket #2, 4, or 5, go ahead and schedule it to publish on Thursday or Friday. Usually, once a business reaches the point of developing a content calendar – and thus, an overall content plan – they feel much more settled and focused with their online marketing strategy.